Mueller’s team has submitted the supplemental brief Judge Henderson ordered the day after Matt Whitaker was appointed, explaining whether his appointment affects Andrew Miller’s challenge to a subpoena he got back in June. As to the issue at hand (whether his subpoena of Miller is legal), Mueller says Whitaker’s appointment changes nothing, because everything being challenged pertains to his May 17, 2017 appointment, not anything that happened since. 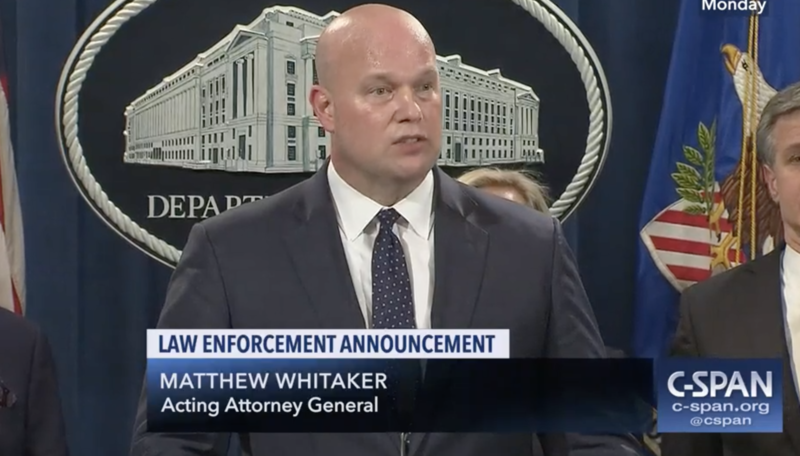 The President’s designation of Acting Attorney General Matthew G. Whitaker on November 7, 2108, has no effect on this case. All of those arguments turn on the May 17, 2017 appointment of the Special Counsel and the legal and regulatory frameworks that existed at the time of appointment. None of those arguments is affected by the change in the identity of the Acting Attorney General while this case is on appeal. But the brief is interesting because it is the first opportunity Mueller has had to lay out how he understands what happened and how Whitaker’s appointment affects his authority. As to what happened, Mueller makes no contest that Jeff Sessions resigned. Democrats in the House are contesting that, but Mueller is not. Nor does Mueller question the validity of the OLC conclusion that Whitaker’s appointment is legal. None of that is surprising. He works for DOJ and it’s not his place to challenge what DOJ says about DOJ. What’s more interesting (though not at all controversial) is that Mueller maintains he still has the full authority of a US Attorney. Similarly, by regulation, the Special Counsel has and continues to “exercise, within the scope of his or her jurisdiction, the full power and independent authority to exercise all investigative and prosecutorial functions of any United States Attorney.” 28 C.F.R. § 600.6; see United States v. Nixon, 418 U.S. 683, 695 (1974) (“So long as [a] regulation is extant it has the force of law.”). He relies on US v. Nixon to lay out what it will take to withdraw that authority: changing the regulations he operates under. Perhaps most important, though, is that Mueller argues that Whitaker’s appointment cannot change the validity of the subpoena (and, one would assume by extension, anything else) that occurred before Whitaker’s appointment. Because the subpoenas here issued under the signature of the Special Counsel’s Office long before the change in the identity of the Acting Attorney General, that change cannot affect the validity of the subpoenas. And the designation of a different Acting Attorney General while the case is on appeal cannot vitiate the district court’s order holding Miller in contempt. This would seem to suggest that if Mueller has anything banked — sealed indictments or complaints — then he holds that nothing changes their validity or the DC District’s authority to preside over them. He also maintains that he retains the authority to appear before the Court. Second, the change in identity of the Acting Attorney General has no effect on the Special Counsel’s authority to appear in this case. The Special Counsel continues to hold his office despite the change in the identity of the Acting Attorney General. This would be what he would need to unseal any existing indictments. None of that is that controversial. But it does make it clear that he views his authority to continue unchecked even with Trump’s hatchet man in place. 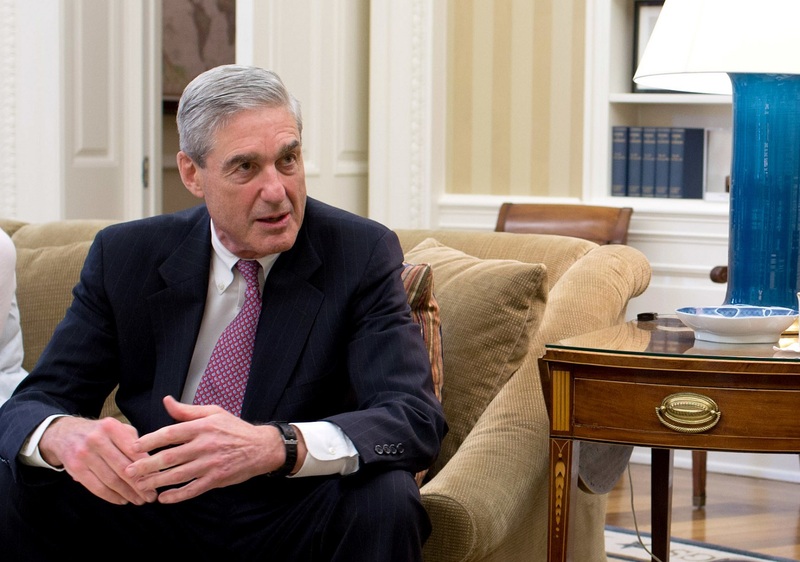 Are Mueller and Matt Whitaker Already Battling over Immunity or a Plea Deal for Jerome Corsi? From the very first reporting on Jerome Corsi’s testimony to Robert Mueller, his lawyer hinted that he may have been invited — but declined — to engage in criminal activity with Roger Stone. Yesterday on his broadcast, Corsi seemed a lot less certain that he has avoided legal jeopardy. He billed the broadcast as a historic one and made it clear it was all about Mueller, even while he feigned that he was not commenting on Mueller. He announced he would not broadcast Friday, because he’d be with his lawyers, and suggested he might not broadcast Monday. He invoked both Stone and Alex Jones in his comments. Chuck Ross laid out some of this here, including that he invoked Jeremiah 20:11, presumably as a veiled attack on Mueller. Corsi also invokes Jesus’ superior access to truth before Pontius Pilate. 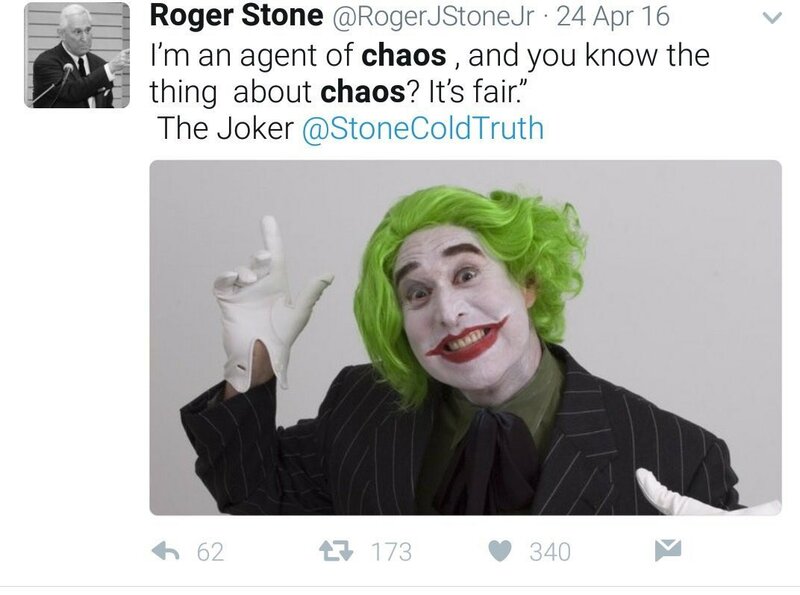 What Ross doesn’t lay out — but I have — is that Roger Stone’s excuses for his “Podesta time in a barrel” comments seem to be a retroactive excuse for some attacks he and Corsi made on John Podesta that seem to reflect some pre-knowledge that the Podesta emails Russia leaked in October 2016 would include information on Podesta’s ties to Joule Unlimited. Corsi returned to the attack in October 2016 even before WikiLeaks started releasing the emails and Stone adopted without showing signs of reading the emails he relied on. The awareness that the Podesta dump would include emails on Joule seems to date back to mid-August 2016, precisely the period when Stone (and his associate, Lee Stranahan) were first engaging with Guccifer 2.0, and it happened just two weeks after Stone flipflopped on his claimed beliefs about who did the DNC hack. So, in his broadcast, Corsi suggests something about his two month cooperation with Mueller coming to a head, and he may have been the means by which Stone knew of what the Podesta emails included ahead of time. But with all that, Corsi’s lawyer suggests Stone is the one with the really serious exposure. It may be that Mueller is pressuring Corsi to cop a plea deal. 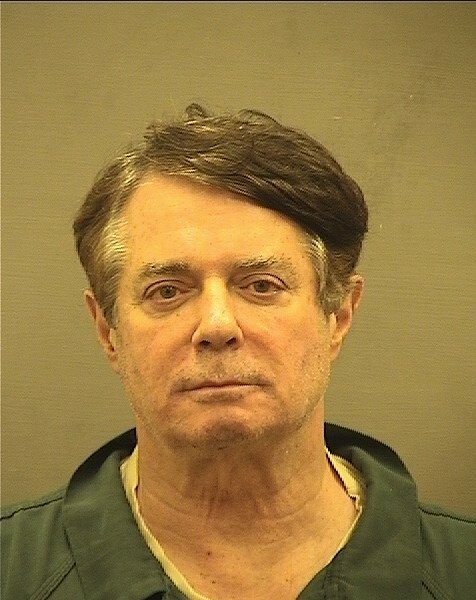 That might explain two months of close work with Mueller’s team. But Corsi’s concerns about his immediate future may, instead, suggest that Mueller has immunized Corsi, because if he refused to testify about something having immunity, then he could be jailed right away. As I’ve laid out, in the hearing on Andrew Miller’s challenge yesterday, Michael Dreeben seemed to be arguing about which actions Mueller could take without getting Matt Whitaker’s approval first. Perhaps Corsi is praying that Whitaker will rescue him from Mueller-as-Pontius Pilate by deeming that conspiring with Russian assets to attack a political opponent is totally normal? 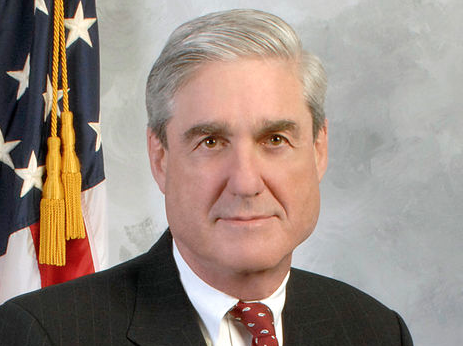 https://www.emptywheel.net/wp-content/uploads/2017/08/Mueller.png 346 463 emptywheel https://www.emptywheel.net/wp-content/uploads/2016/07/Logo-Web.png emptywheel2018-11-09 13:11:172018-11-23 14:04:22Are Mueller and Matt Whitaker Already Battling over Immunity or a Plea Deal for Jerome Corsi?